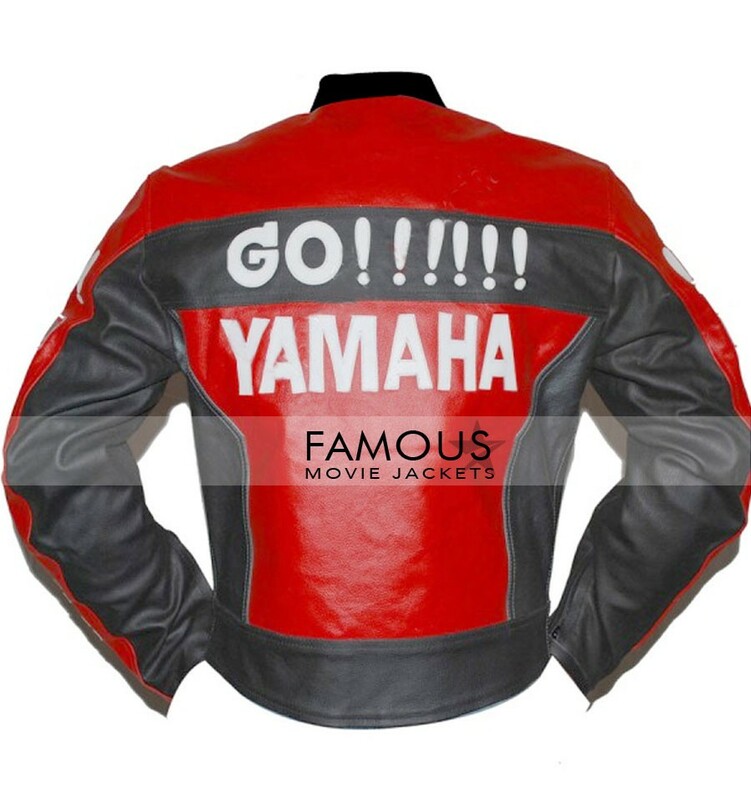 Bikers well this is the most awaiting moment of your life for sure because you will be having a great chance to get Yamaha GO Red Motorcycle Jacket in great pocket price now form famous movie jackets.The most best of all in a one.We provide quality with surity and provides a product which fulls your entire desires in a click bikers.The most loved thing which bikers have their bikes and then their leather jackets .The want change and revolutions in it.The Yamaha GO Red Leather Jacket is a change in style introduced for the entire being and all.This red leather Yamaha GO Jacket is a funky style jacket filled with admiring colors and top quality that will resist in every weather.It features with round neck collar YKK zipper in front for closure and two zipped front pockets.The style with glamor is here. Appreciating you famous movie jackets is my duty.Well because the leather piece is so pure and quality is seriously with surety. Wearing this Yamaha Go Jacket since a month no harder change.